Ahh, Independence Day. One of the United States’ most beloved holidays, the 4th of July is a time of relaxation, celebration, family barbecues, ever-larger fireworks displays, and…trips to the Emergency Room? The cause? Everyone’s favorite flaming showstopper: fireworks. 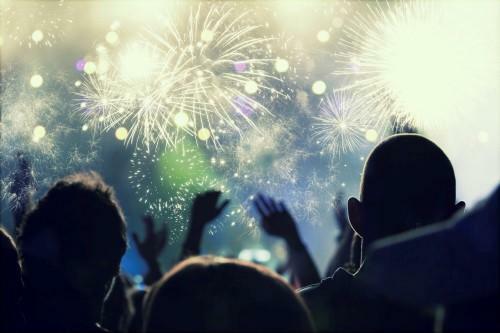 Fireworks cause more than 7,000 injuries that require emergency medical care between June 20 and July 20 each year, according to the Consumer Protection Center. That’s 7,000 families who spend the remainder of their holiday sitting in the Emergency Room. Does that mean you have to forego the festivities in order to protect your family this year? Never! The most common cause of fireworks injury is improper use. Following some common sense safety guidelines can significantly lower your risk of harm. Those safety guidelines start with following your local fireworks ordinances. Laws concerning the sale, possession, and use of fireworks vary significantly from state to state, and even from city to city within the same state, so it’s important to check your local laws. The Huffington Post offers a great infographic showing a map of fireworks laws in every state. You must be 12 years or older to purchase fireworks. It is illegal to shoot fireworks within 600 feet of any church, hospital, or public school. Never make or attempt to light homemade fireworks. This is not the time to DIY! Think sparklers are the most harmless firework? Think again. Though these are a popular choice for young children and make for great pictures, sparklers burn at temperatures of 2,000 degrees Fahrenheit. To put that in perspective, an average house fire burns at 1,100 degrees, and gold melts at 2,000 degrees. It’s about the same temperature as a blow torch. These handheld fireworks are the leading cause of firework injuries for young children. Fireworks and alcohol don’t mix. If you’re at your own home, designate a sober friend to handle all fireworks. Better yet, leave the launching to the pros and enjoy your city’s display from the comfort of a picnic blanket. Never attempt to relight fireworks that didn’t work the first time. Soak these “duds” in water and throw them away. Light all fireworks outdoors in a clear area, away from trees, power lines, and people. Double-check that no parts of your body are positioned over the firework when you light the fuse. Keep a bucket of water or hose and a fire extinguisher nearby if you shoot fireworks at home. A little planning ahead can help you avoid a disaster later. Serious burns are the most common injuries caused by fireworks – most commonly to the head, face, neck, hands and arms. If you or someone you love was seriously burned in a fireworks accident because of another person’s negligence, you may want to consider your legal rights in the matter. Taylor King can help determine whether you have a case and help you get the compensation you deserve. Call today at 800-227-9732 to begin your free consultation.